In this video, we will discuss displaying images in MVC application. In Part 48, we will create a custom html helper to display images. We will be using the example, that we worked with in Part 46. 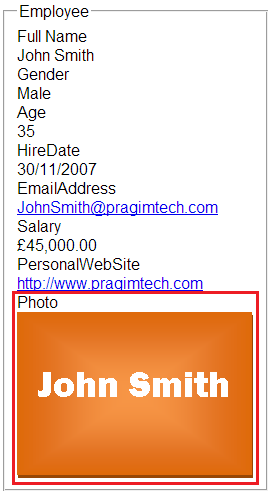 We want to display Employee photo, along with the personal details as you can see in the image below. Alter table tblEmployee to add Photo, and AlternateText columns. Right click on the solution explorer and add "Photos" folder. Download the following image and paste in "Photos" folder. Now, in MVCDemo project, update SampleDataModel.edmx. At this point, "Photo" and "AlternateText" properties must be added to the auto-generated "Employee" class. 1. Delete "Details.cshtml" view, if it already exists. 2. Right click on "Details" action method and select "Add View"
Notice that for Photo and AlternateText properties, the following HTML is generated. At this point, if you run the application, instead of rendering the photo, the PhotoPath and AlternateText property values are displayed. Replace the above code with the following. Notice that, we are using Url.Content() html helper method. 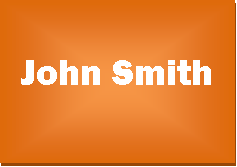 This method resolves a url for a resource when we pass it the relative path. Run the application, and notice that, the image is rendered as expected. In our next video, we will discuss creating a custom html image helper. Hi your videos are very nice! could you show how to insert photo ,name phone in database like registration form.